Recently, I’ve been using the Foodpairing Explorer even more than usual. I created many interesting combinations, but with most of them I’m still thinking about the optimal ratios, preparations and presentations. The ingredient combination for this fast and simple vegetarian dish is based on a combo list too, which I linked together recently on Foodpairing. 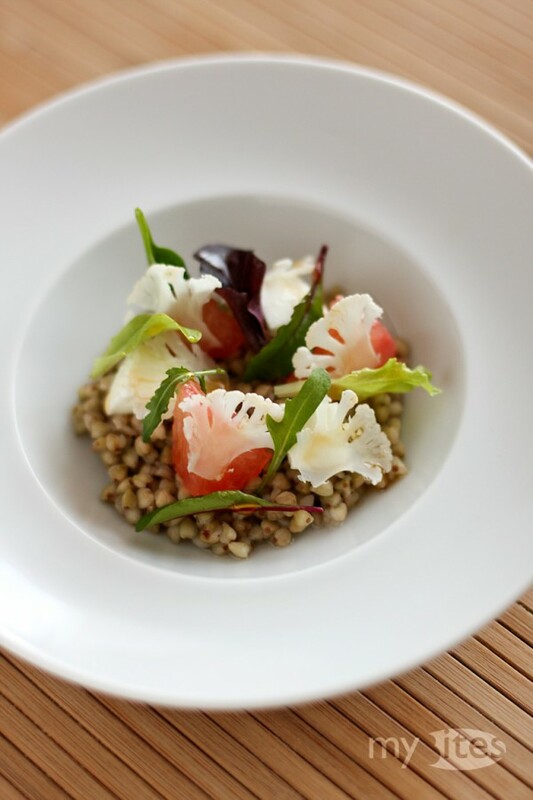 This entry was posted in Appetizer, Vegetarian and tagged appetizer, buckwheat, cauliflower, grapefruit, mozzarella, salad, starter, vegetarian on March 5, 2012 by Robert. Kaiserschmarrn is prepared the traditional way usually with apple puree and a vanilla-milk batter. With some imagination it can be turned into thousands of new variations. 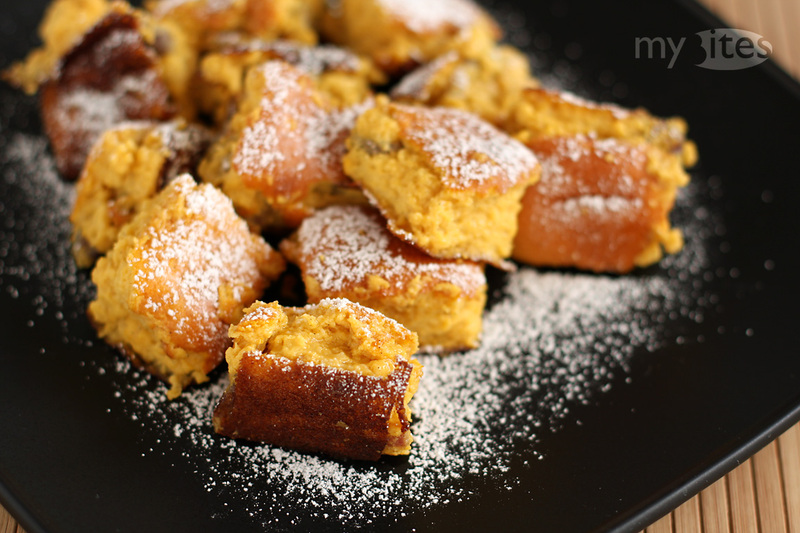 One possibility is the Caribbean coconut Kaiserschmarrn I posted a month ago, or another example would be this current butternut squash version – which is actually lactose-free. The squash adds both flavor and color to the final result, which is also the reason for its beautiful yellow appearance. I also experimented blending the softened squash with milk, but the result was much better when I used the reduced stock cooked from the seeds and skin of the butternut squash. This entry was posted in Dessert, Vegetarian and tagged austria, butternut, butternut squash, caramel, citrus fruit, dessert, grapefruit, kaiserschmarrn, orange, pumpkin, rooibos, rooibos tea, squash, tea on January 5, 2012 by Robert.